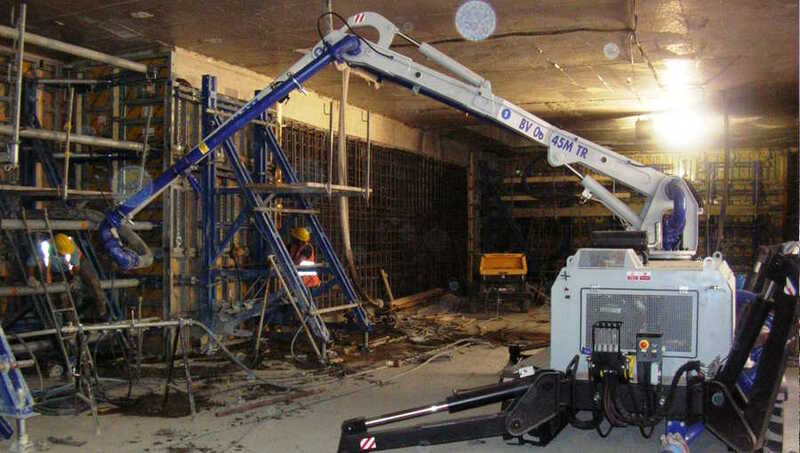 Pamec designs and produces different types of fully powered concrete booms. They are for concrete distribution over large areas, even indoor, where traditional booms have difficulty gaining access. Mounted on a track carriage, this new type of equipment, fully powered, is operated by remote control. The operator is able to choose the best position to maneuver the equipment in absolute safety for himself as well as for other workers in the construction area.